Bollywood actor Rishi Kapoor took the Twitter share the experience of working with Bhatt family and also called them as relatives. He took the name of who Bhatt family and told that it is always a pleasure to be working with them. The interesting thing is that he took the name of Alia Bhatt also and as since he took Alia Bhatt's name, the media started connecting that tweet with the alleged affair of Alia Bhatt and Ranbir Kapoor. In the recent past several reports about Ranbir Kapoor and Alia Bhatt's affair has come out and till now several things have been said about them. Even in the recent interview both Alia Bhatt and Ranbir Kapoor accepted their relationship in different ways. 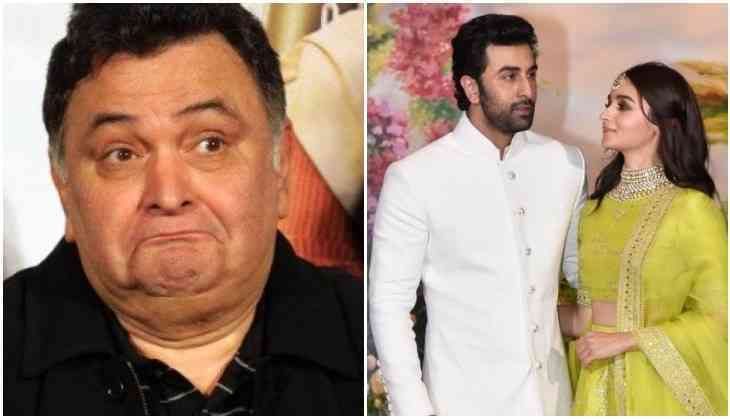 Since then this tweet has come out media reports suggests that Rishi Kapoor is hinting towards Ranbir and Alia's relationship acceptance. However, there is another story behind it. Actually, Rishi Kapoor is working with Murder 2 actor Emraan Hashmi in the new film called Cheat India. So while shooting the film Rishi Kapoor praised working with Emraan Hashmi and shared the experience how he always has pleasured to working with Bhatt family. Even Emraan Hashmi thanked Rishi Kapoor for this special tweet.